I LOVE testing out our products and taking pictures to show you that they not only work, but they are easy to use and they work well! 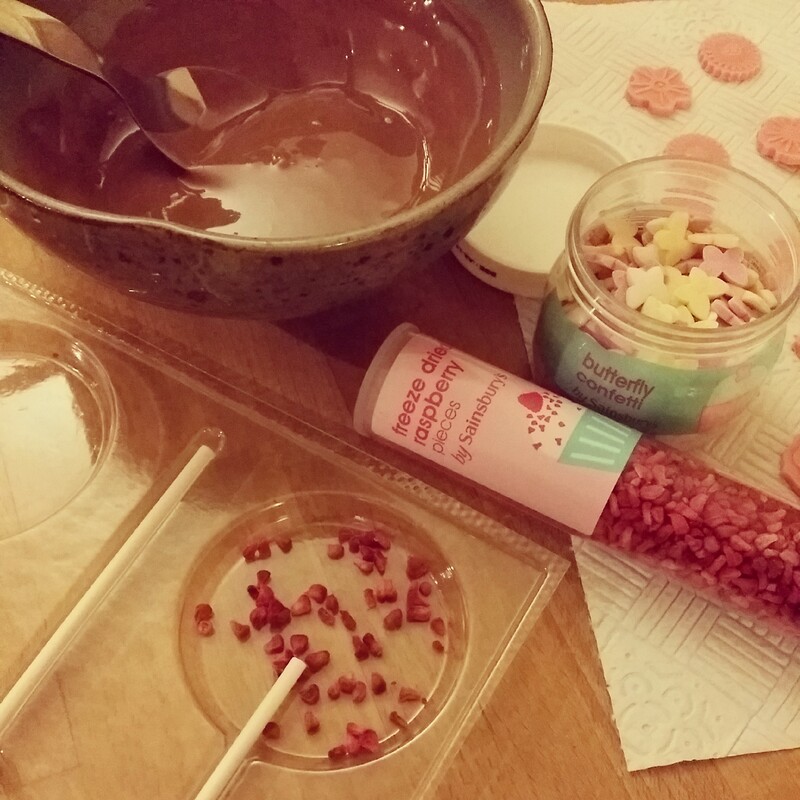 I had so much fun playing around with one of our new moulds, a chocolate lollipop mould! Here’s a picture of them together with our new speckled Easter Egg mould. 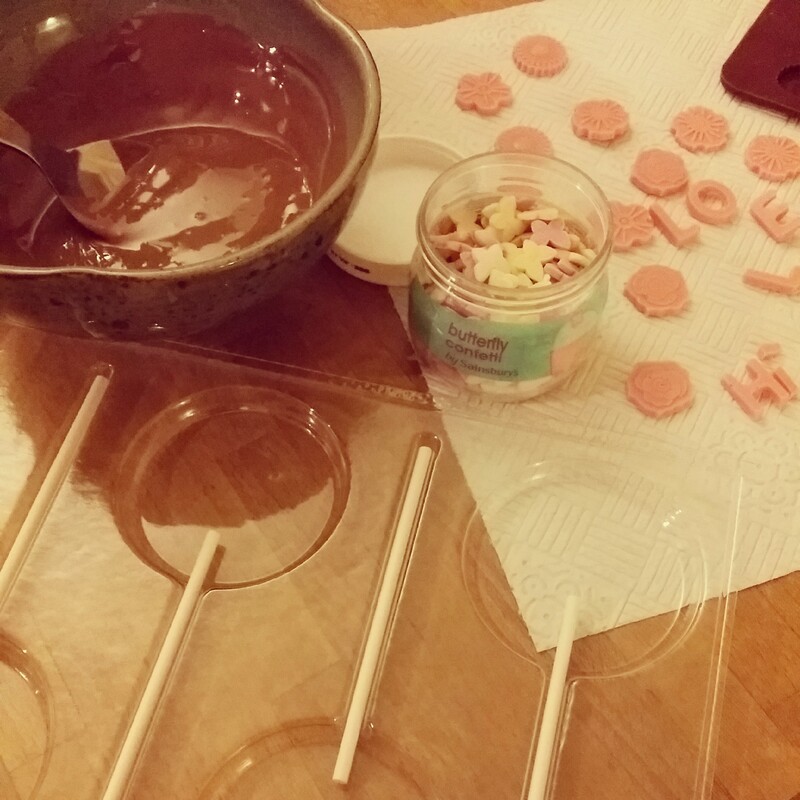 I had plans to decorate my chocolate lollipops with different chocolate designs. I used a mini letter mould and an embellished heart mould. 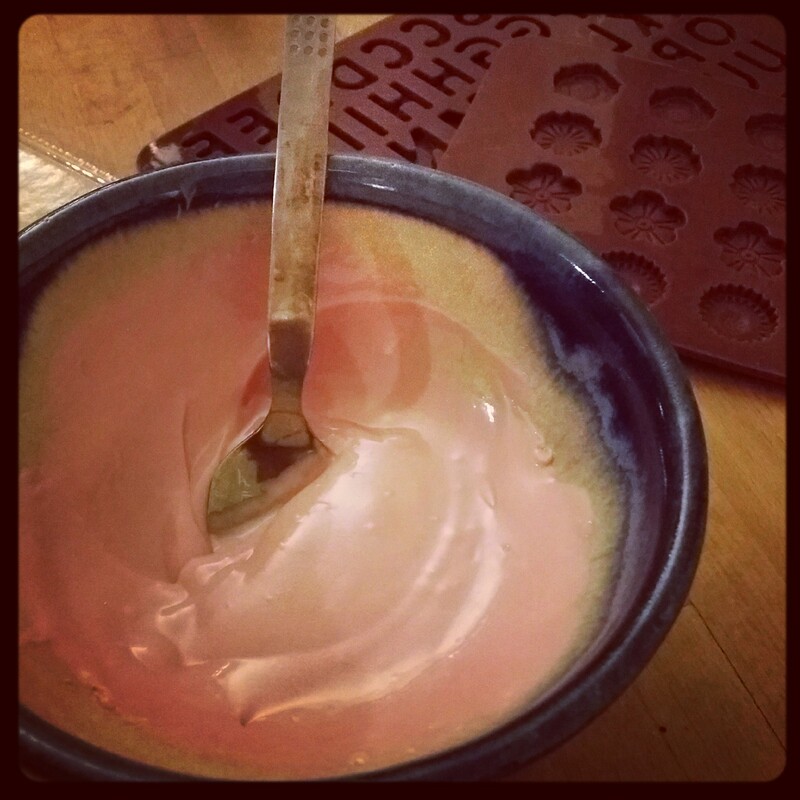 Filled the mould with beautiful melted strawberry choc (it’s pink!). Best to use a syringe of some sort to fill the mould 🙂 Pop in fridge for a while and voila. All done! I made a little Instavideo on HERE if you want to have a peek. Love the different flower designs on the embellished heart mould! Pretty and versatile. I had some Butterfly Confetti from Sainsburys on standby too. I had no clue what I was going to use just yet. Just made it up as I went along. Freeze dried raspberry pieces are the BEST. I love them as it makes whatever you make look really ‘posh’ and I do love the idea of having some fruit to balance out the chocolate 😉 I got them from Sainsbury’s. Sprinkled the raspberry pieces on the mould. Scooped heaps of wonderful milk chocolate into the mould. Remember to gently tap the mould on a hard surface to release air bubbles. Promise this did not take very long 🙂 Very satisfying considering that so little effort is put in to make such professional looking lollipops. A very thoughtful little gift too. Try making yours. Have a browse on our website to have a cheeky browse at all our moulds. Embellishment moulds available from here. Mini letter mould from this link. .. and the star of the day! 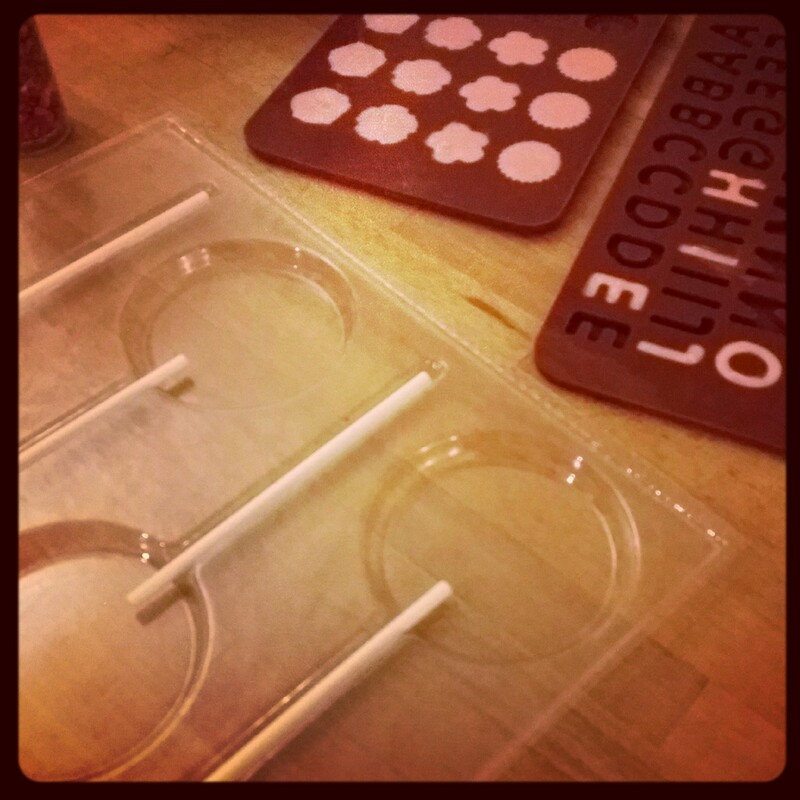 Our Chocolate Lolly mould from here. New arrivals! Surprise in a pizza box. You will definitely fall in love with them. The perfect present that comes in a pizza box. We have a chocolate pizza to suit everyone making them the ideal high quality chocolate gift for all. Comes in 2 sizes, our regular 7″ pizza and a mini 4″ pizza. Time to tantalize you with a picture of Gourmet Chocolate Pizza! Check out the amazing toppings on them. Am currently on a chocolate buzz having tested them. Yum yum yum, oh so lush. This is the Crunchy Munchy Chocolate Pizza. Belgian milk chocolate base and is topped with firm creamy vanilla fudge pieces, chunky pieces of chocolate brownie biscuit and finished with white chocolate curls. Available in 2 sizes and is suitable for a vegetarian diet. This choc pizza contains gluten.